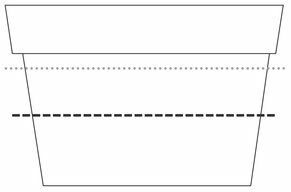 Requirements: patience, thoroughness and frequent trimmings. We can see very well on the illustration that this shape differs of the first two. 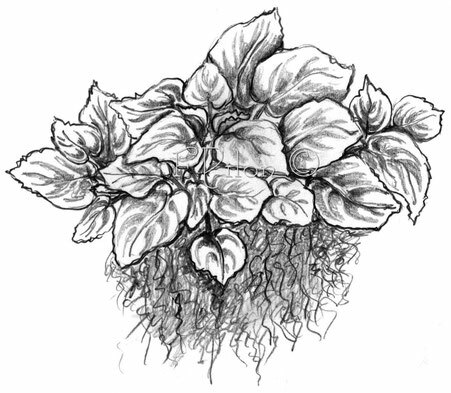 Plants with this shape tend to spread horizontally rather than vertically. The frequent trimmings are necessary to allow the plant to grow more easily. It is not only a question of aesthetics, but also of survival. And because the foliage is dense, the trimmings are also very delicate to make. There are few varieties with this shape. 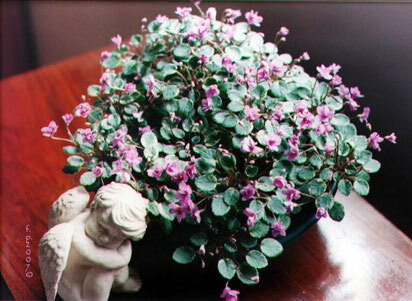 These are often semiminiatures and some small miniatures (micros). Much rarer in standards. 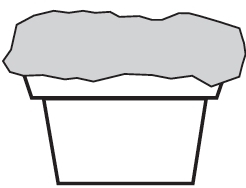 The appropriate container for plants with this shape is 5 "PAN, which implies that it is preferable to maintain a reasonable size.The larger the volume of the plant, the more difficult the trimmings will be. 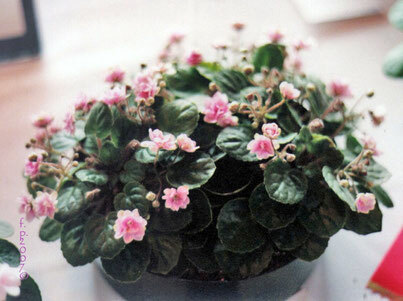 'Lil' Creeper '(left picture), look like a small porcelain,' Pinky Wink 'and' Ruth Wheeler Trail ' (photo right).